B&H offers the Panasonic DMC-GX85 + 12-32 &45-150mm Lens + SD + Accessories for $497.99. Focus Camera have same offer with Battery, tripod and other acceories bundle. Amazon and Adorama have the same offer. Features: DMC-GX85 delivers impressive large sensor performance in the most compact camera system ever designed by Panasonic LUMIX. Thanks to the elimination of the low pass filter, its fine detail resolving power is boosted nearly 10% over previous 16-Megapixel sensors. 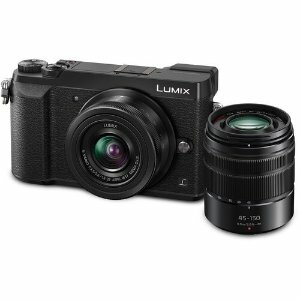 Image stabilization is top of its class with the complementary LUMIX 2-axis lens O.I.S. and a new 5-axis in-body I.S., available in either photo or video recording modes.